Over the weekend, we went to Cousin B’s second birthday party. 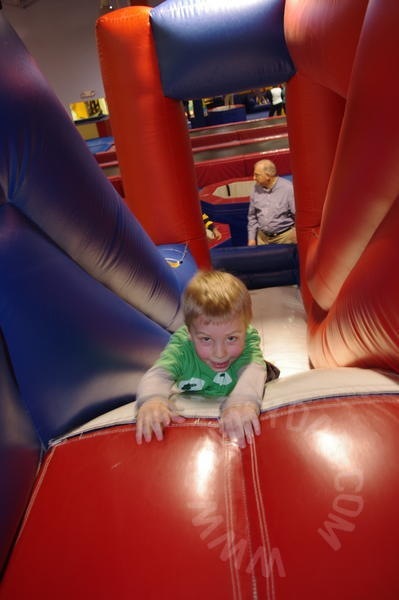 It was held in an indoor play area. Waiting, the boys all but drooled over the long trampoline, foam pit, zip line, climbing net, balance beams, bounce house, and more. 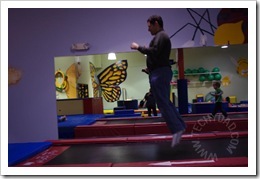 As the boys removed their shoes and socks, they asked if I would go on everything with them. 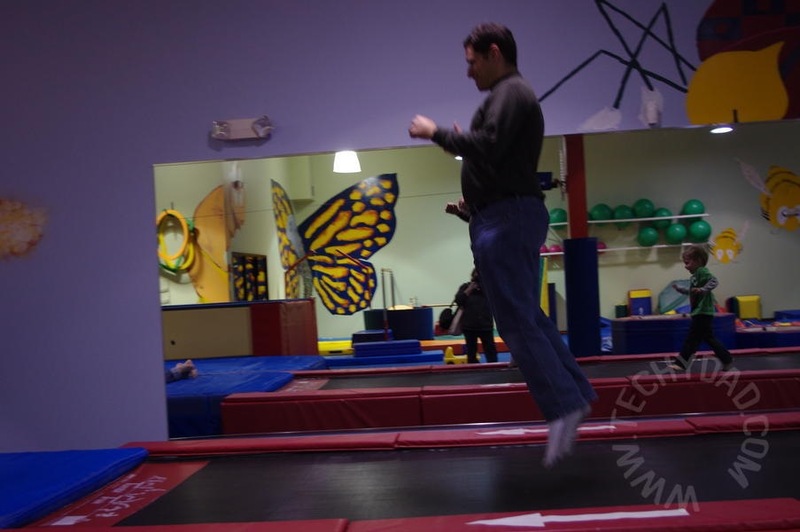 I told them that grown-ups weren’t allowed on anything, that it was only for kids. Then, the staff member corrected me and let me know I *could* go on almost everything. 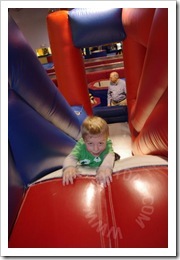 In all of the bouncing, foam-climbing fun, I worked up quite a sweat. After the play portion of the party was over, I joked with the staff member that they should open the place up at night for adults. As I thought about it more, I began to wonder. 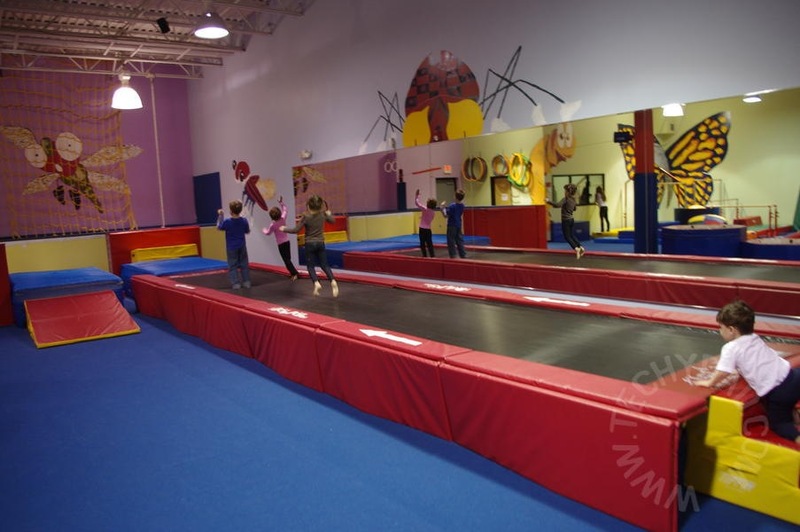 How many grown ups, like me, hate the idea of a gym with lines of stationary bikes, treadmills, and other "boring" exercise equipment? 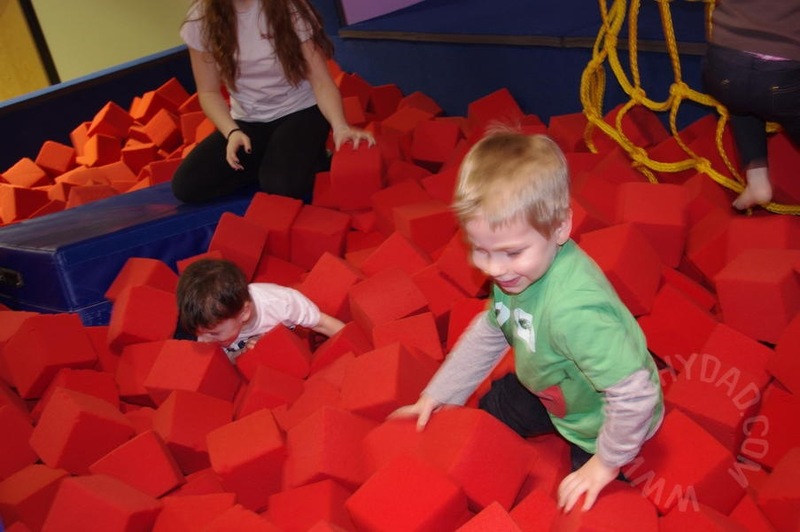 How many adults would love to feel like a kid again as they bounce along a trampoline, crawl through a foam pit, and climb up a rope bridge? 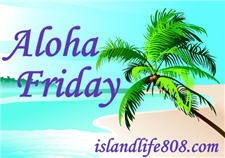 My Aloha Friday question for today is: Would you go to an indoor playground for grown ups? Yes – if it was for a party and closed to the public. No, I think I’m too much of a germaphobe. My kids are older, but I really didn’t let them go to too many of those type of places. Yup! 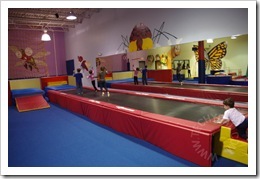 An indoor obstacle course would be fantastic! That would be a great workout! You could race your friends and try to beat your time. 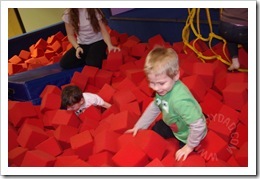 I remember going through the maze at the Discovery Zone when my kids were small.